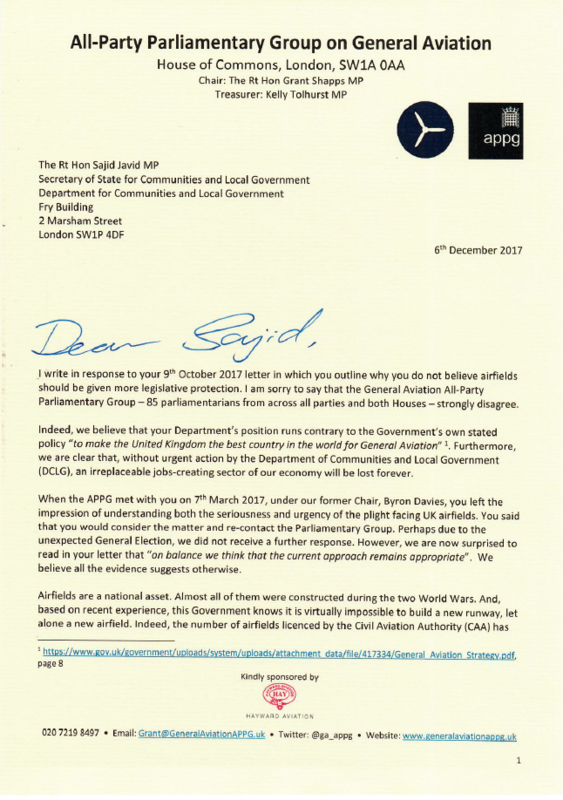 The parliamentary group met with the Secretary of State Sajid Javid MP in March this year, to highlight the seriousness and urgency of the plight facing UK airfields. In the space of 20 years, the number of Civil Aviation Authority licenced airfields has dramatically declined from 250 to just 96 today. 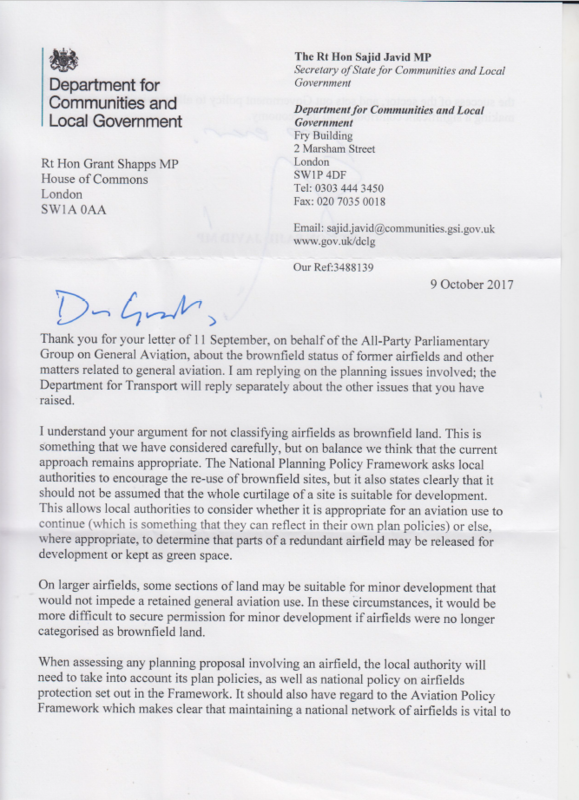 The all-party group notes that the National Planning Policy Framework gives little assistance to maintaining the scarce number of existing airfields, instead delegating the planning decisions around these sites to Local Planning Authorities. 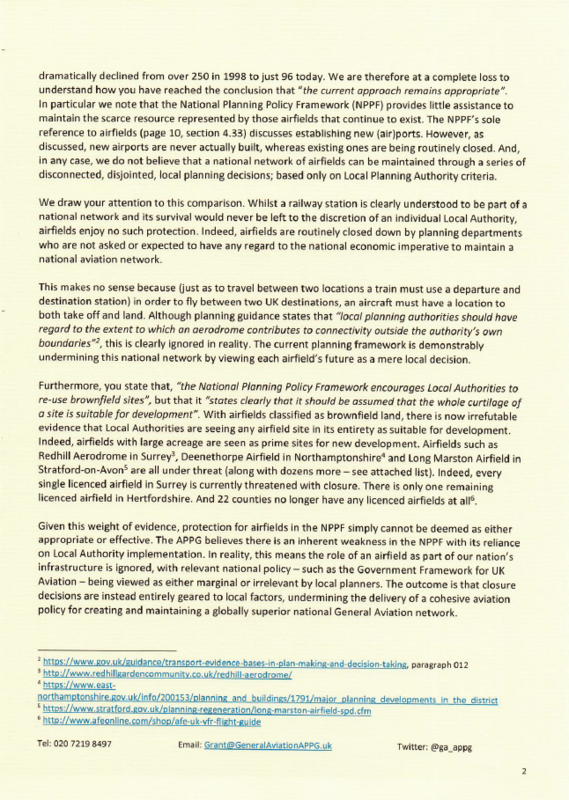 As such, the group does not believe that a national network of airfields can be maintained “through a series of disconnected, disjointed local planning decisions”. This is evidenced by the fact that dozens of airfields are under immediate threat of closure, with only one licenced airfield left in Hertfordshire, plans to close every licenced airfield in Surrey, and 22 counties already with no licenced airfields whatsoever. 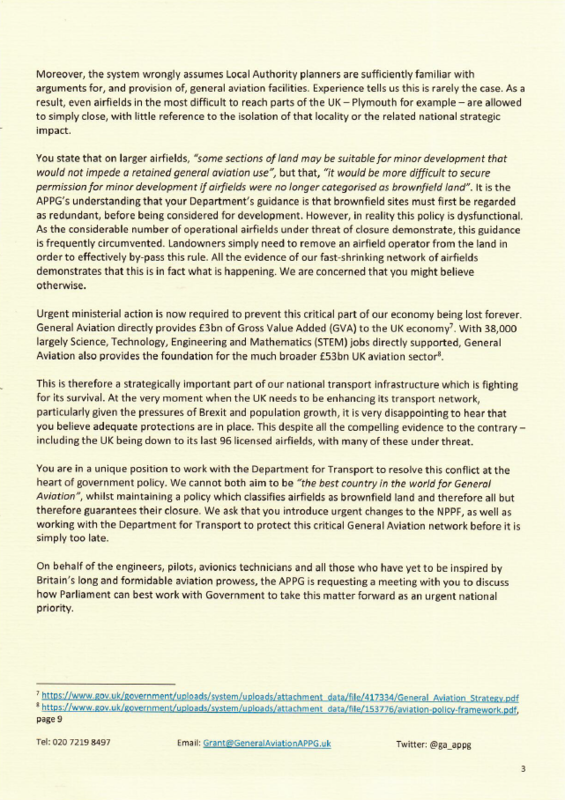 The parliamentary group’s letter calls for urgent ministerial action to prevent a strategically important part of the UK’s national transport infrastructure from disappearing completely, along with the 38,000 highly skilled jobs it provides and the £3billion it adds directly to the UK economy. 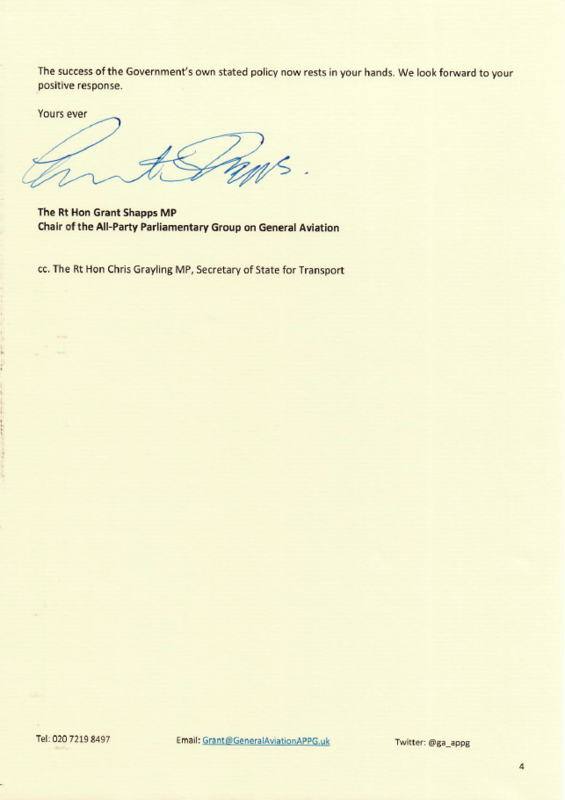 The group also calls for closer engagement with the Department for Transport, which is the sponsoring Government department for General Aviation. 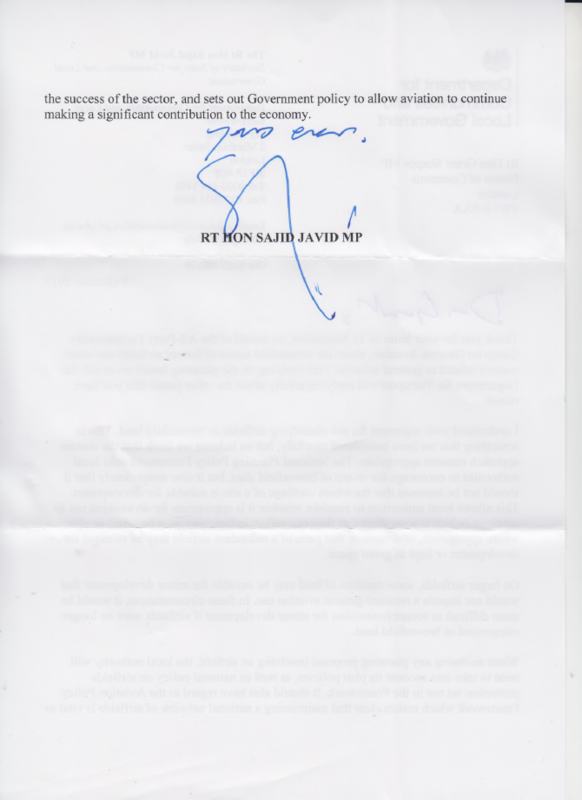 Both the all-party group’s letter to the Secretary of State, and his original letter to the APPG, can be found below.